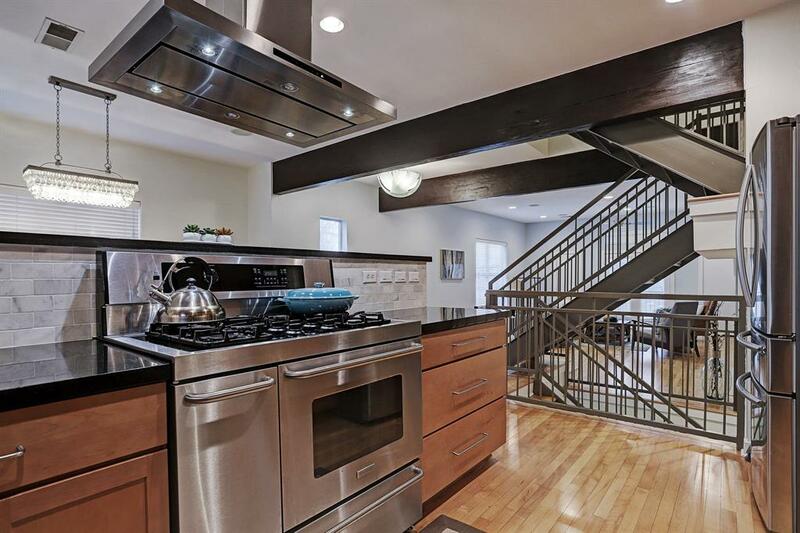 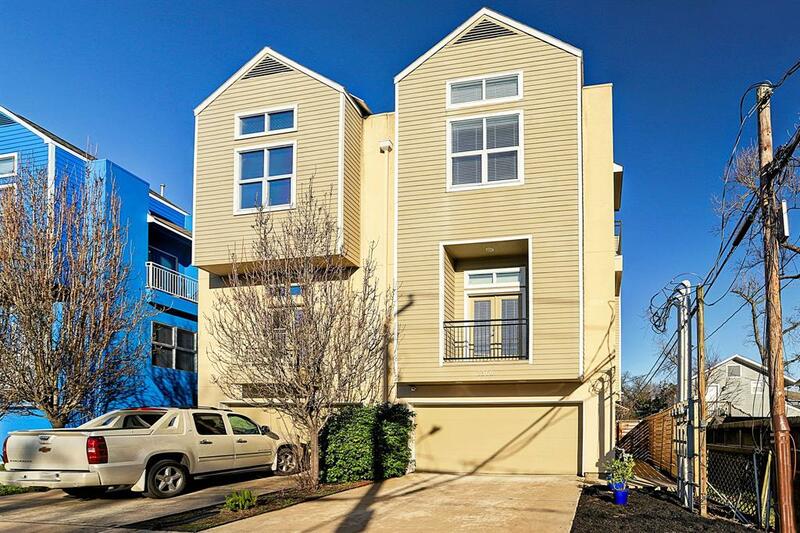 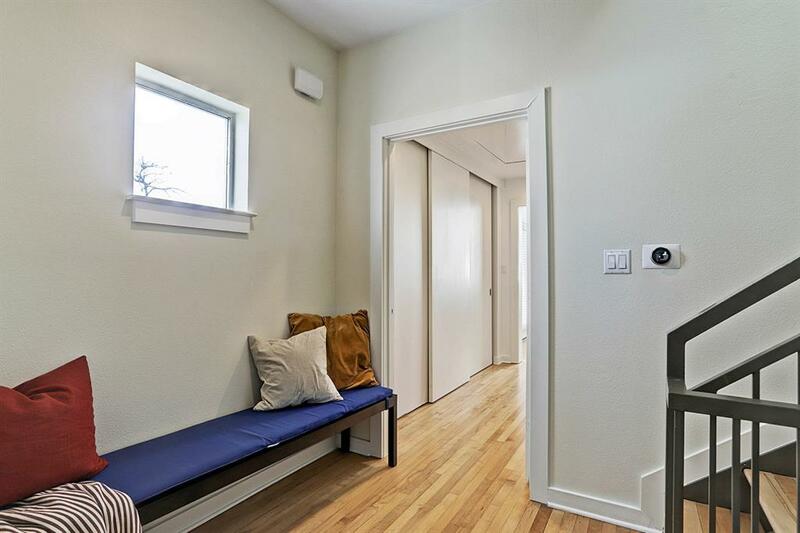 Modern TH w/ a private driveway in the heart of the Heights. 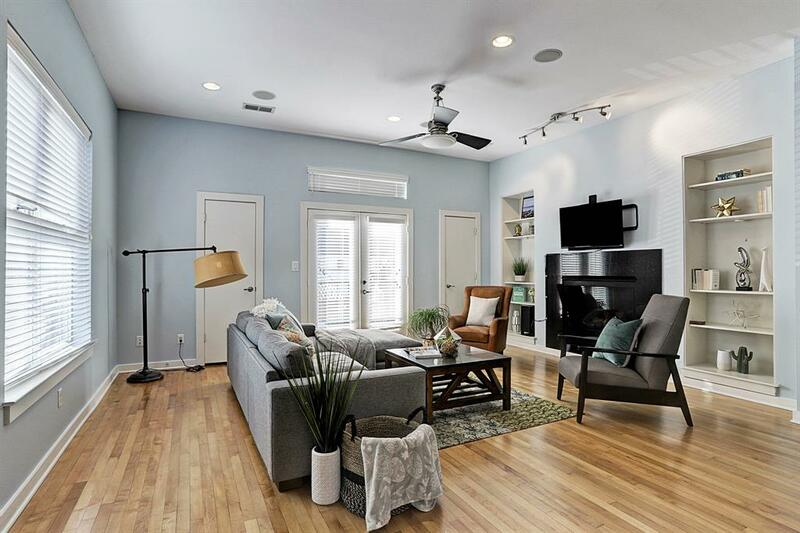 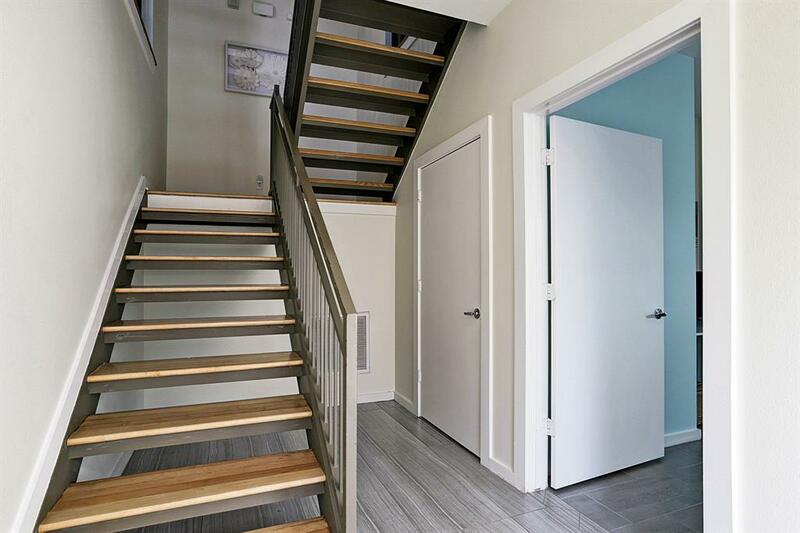 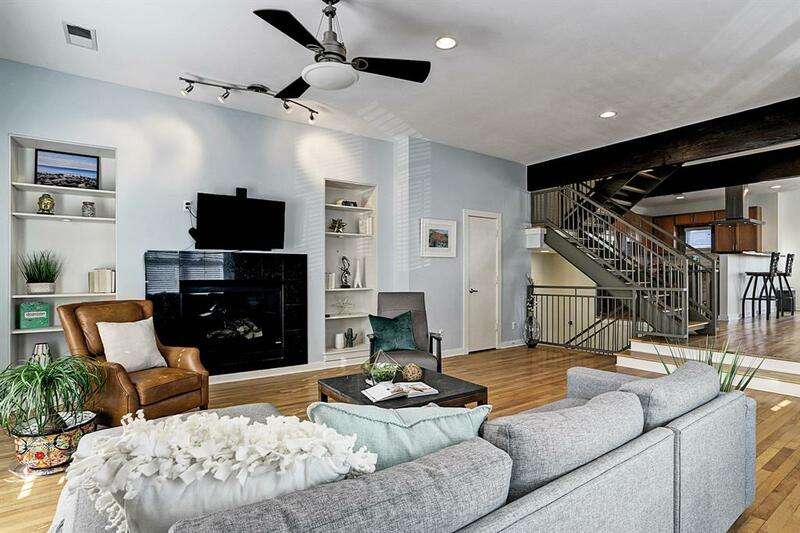 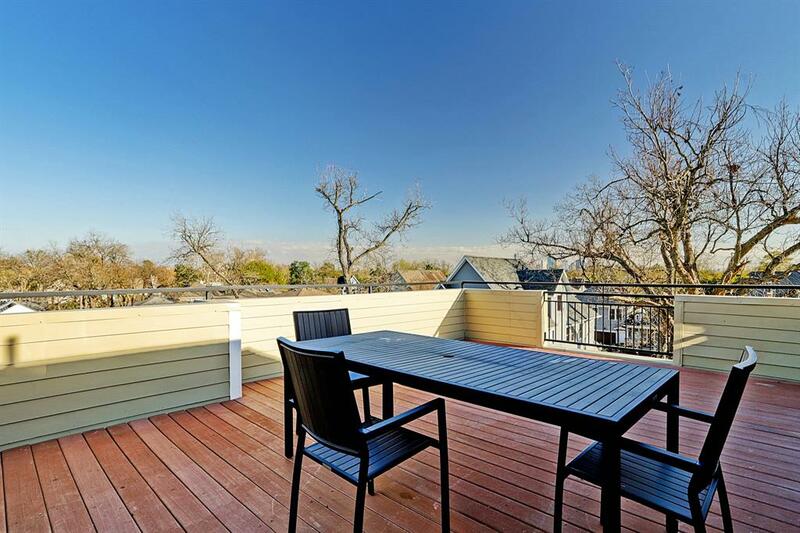 Home offers 3 Bedrooms, 3 1/2 bathrooms, multiple balconies, a rooftop deck + a private fenced side & back yard! 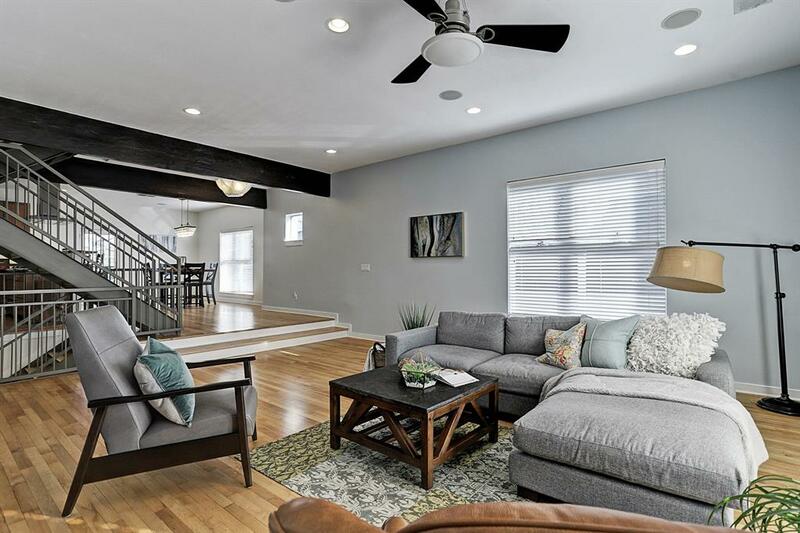 Interior features tile floors on 1st level, open metal stairs with solid wood treads heading up, & reclaimed hardwood floors throughout 2nd, & 3rd floor. 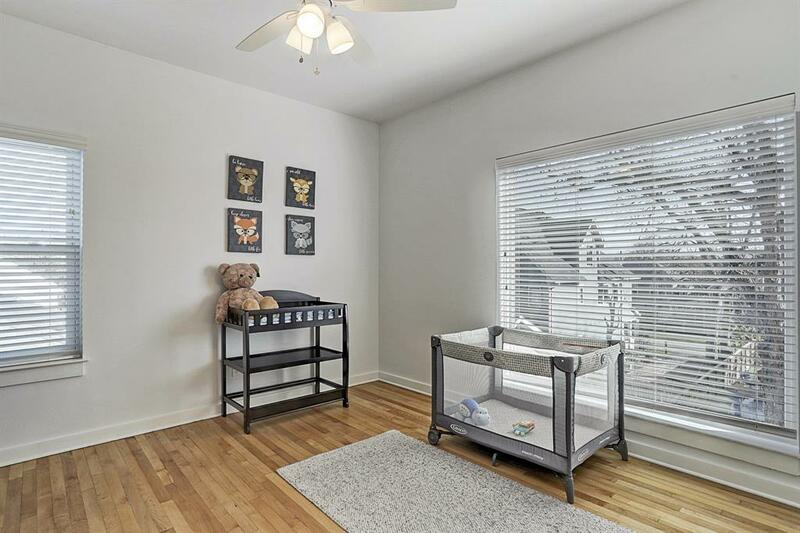 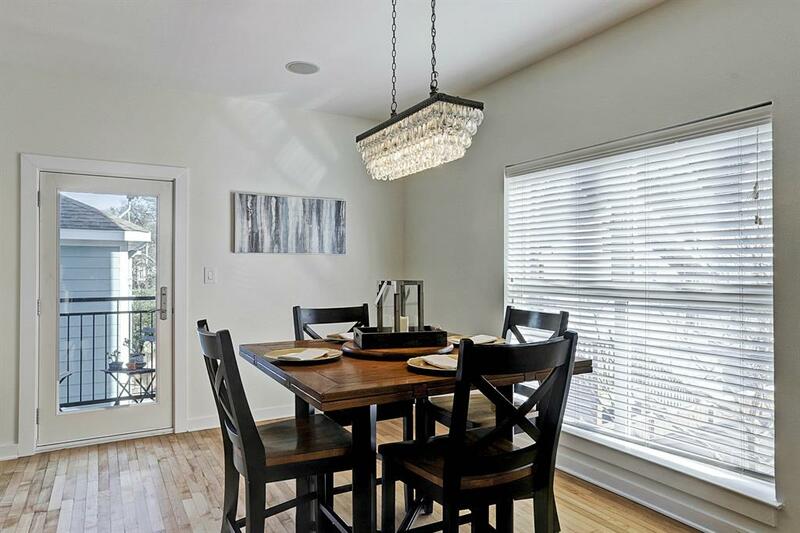 Open floor plan on 2nd floor has spacious living & dining room. 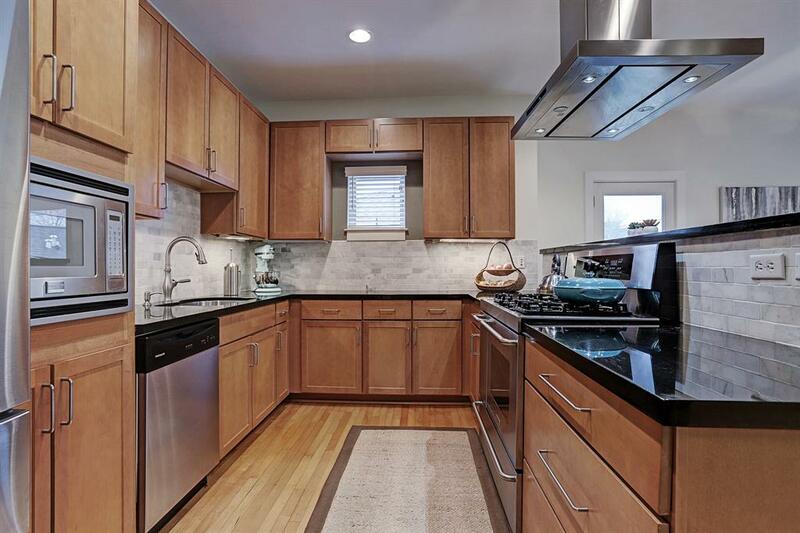 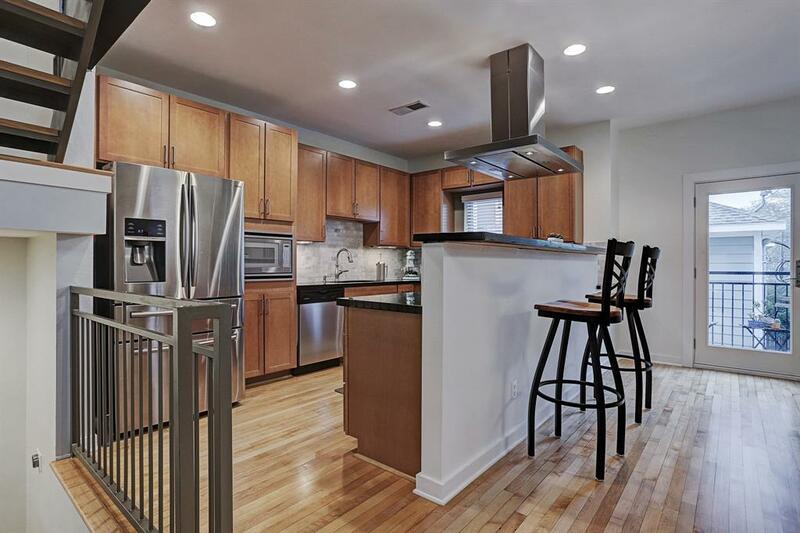 Updated kitchen off dining has granite counters and ample cabinets. 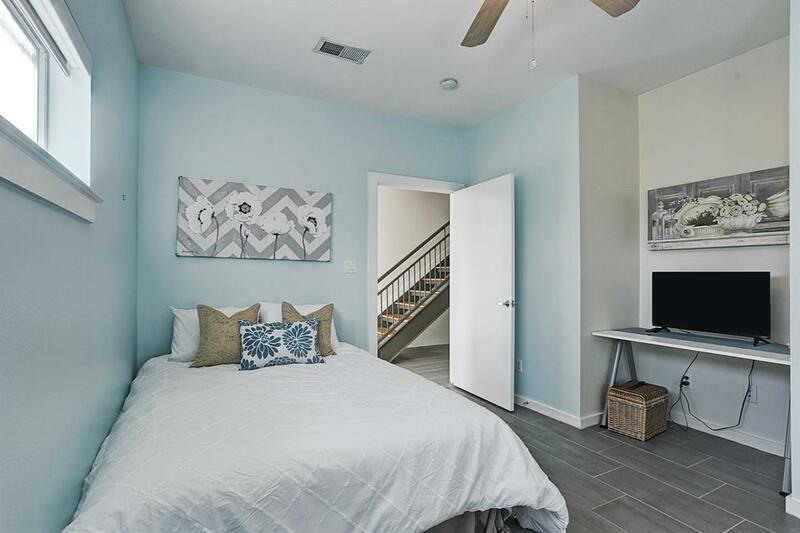 There are balconies off the living, dining & Master bedroom.The generous sized guest bedrooms each have an ensuite bath. 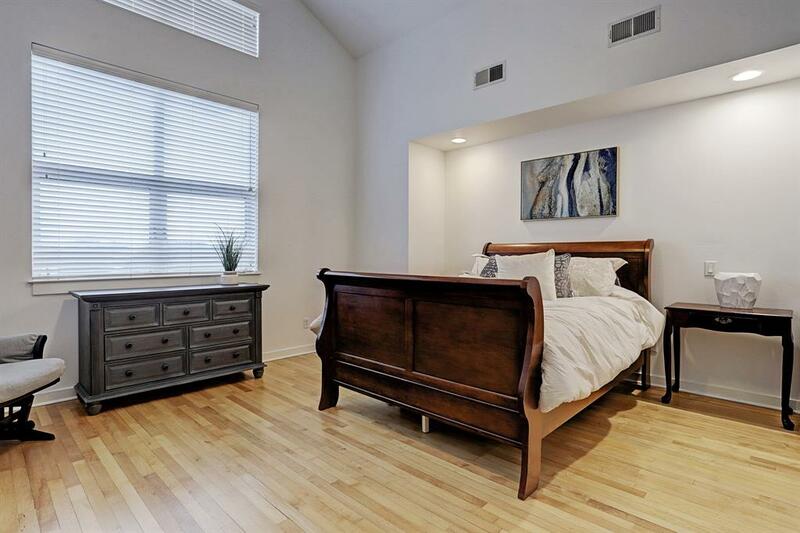 Huge master suite has raised ceilings & ample closet. 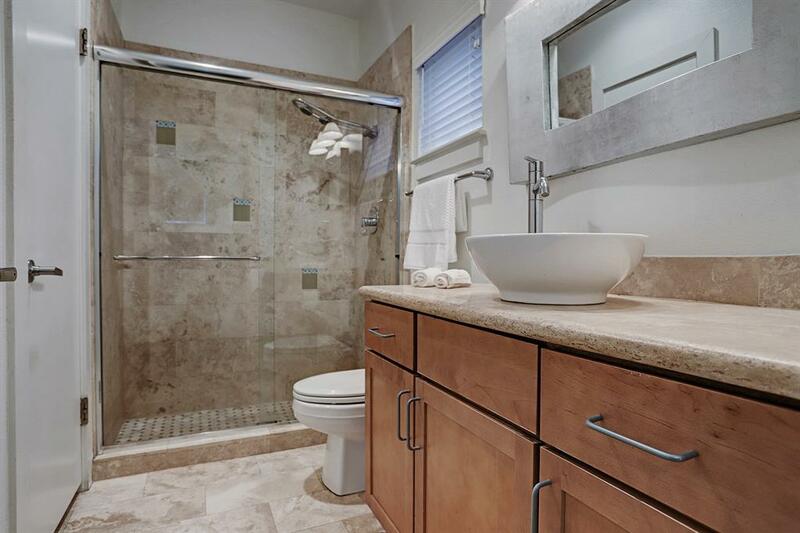 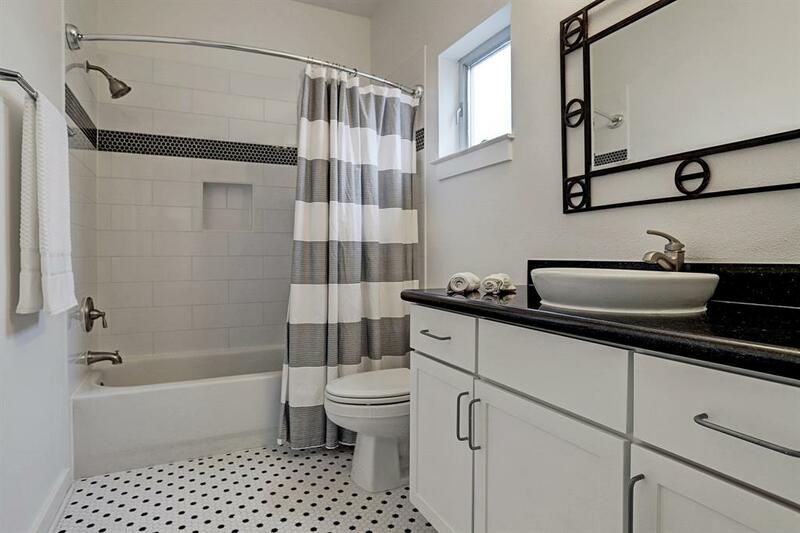 Master Bath features double sinks, separate shower / tub, & travertine floors. 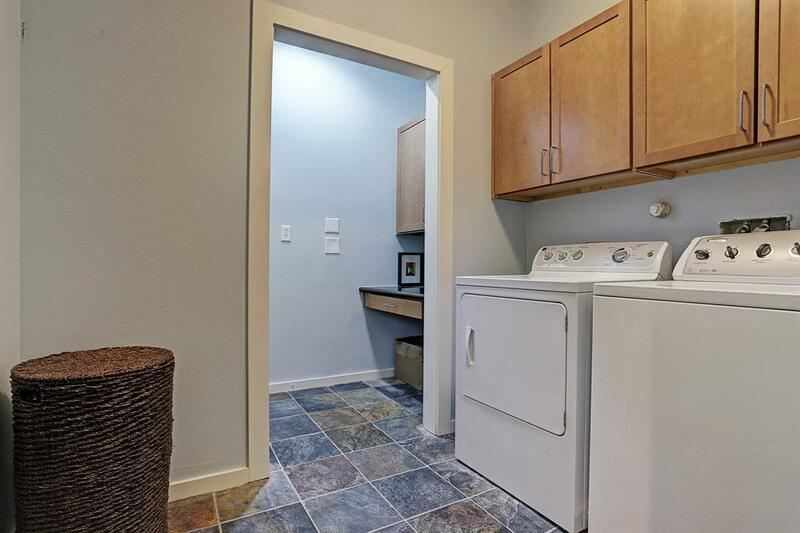 Utility room has extra desk space & closet. 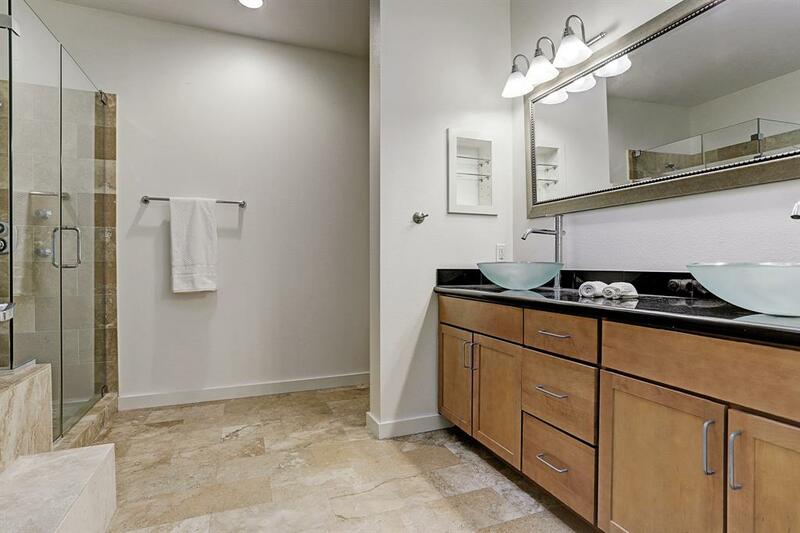 4th floor has a wet bar which leads to the large rooftop deck w/ great views of the Houston skyline. 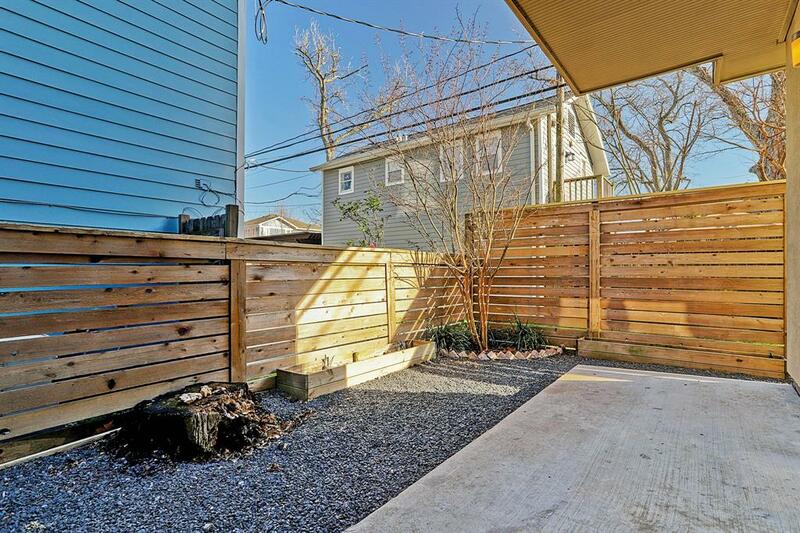 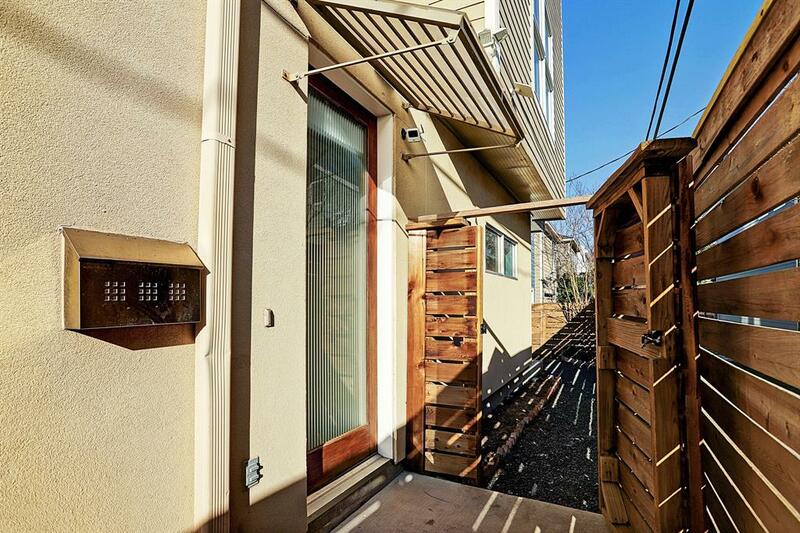 Alley adjacent to the home provides great buffer space & allows for lots of light & privacy. 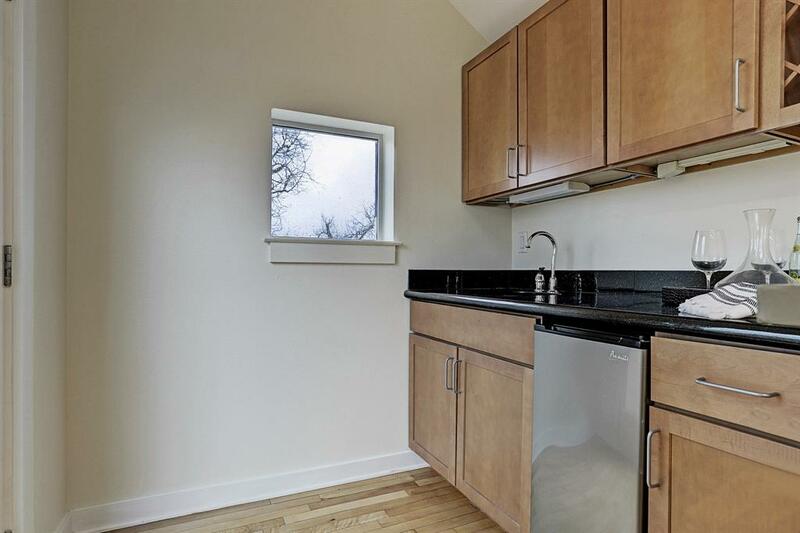 Located close to restaurants & grocery stores.